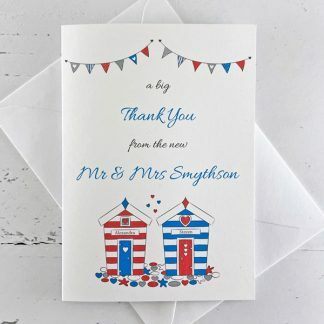 Personalised wedding thank you cards to send following the wedding. 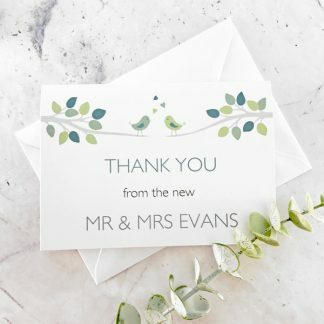 Use them to thank guests for their attendance and/or gifts/best wishes. 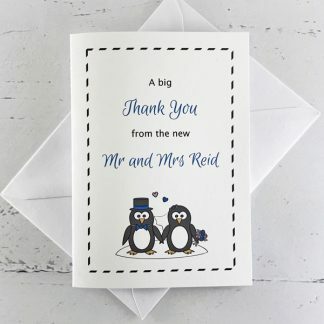 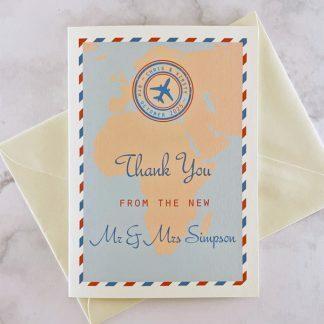 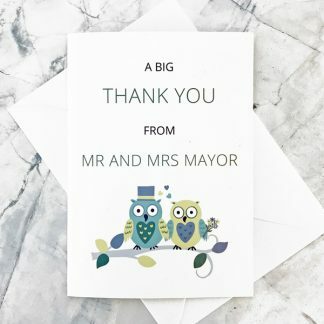 Alternatively, wedding thank you cards can be used to thank those involved with the wedding – such as parents, members of the wedding party or suppliers. 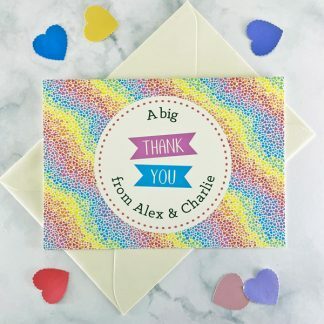 These bespoke thank you cards are a greetings card style, with the design printed on the front. 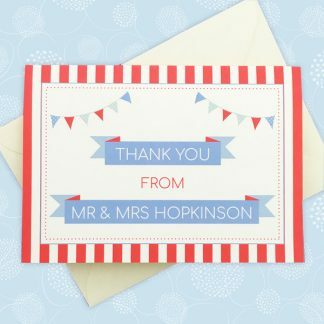 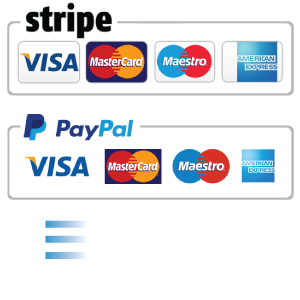 With each design there is a choice of card and colour scheme – based on any two colours. 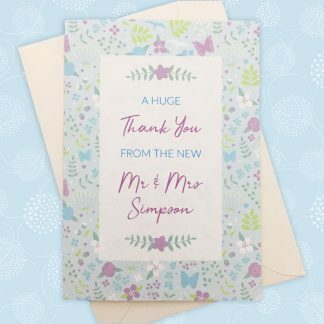 The front of the card has text of your choice and can be an opportunity to use your new married name!